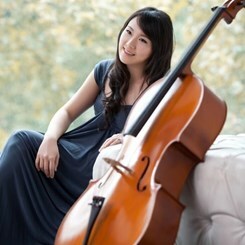 Taiwanese cellist Katy I-Hsuan Chiang began her cello journey when she was eight, and she was a prize-winner of several competitions in Taiwan. Katy received her Bachelor of Music degree in Cello Performance from the University of Maryland College Park where she was awarded a full merit-based scholarship. She is currently pursuing a Master of Music degree in Cello Performance at UMCP. Her private cello teachers include Eric Kutz, David Teie, Peter Wiley, and Evelyn Elsing. Outside of school, Katy is also a passionate cello teacher and freelance musician, she has performed internationally in Italy, Slovenia, and Taiwan. Request Lessons with Katy Chiang (I Hsuan) today!